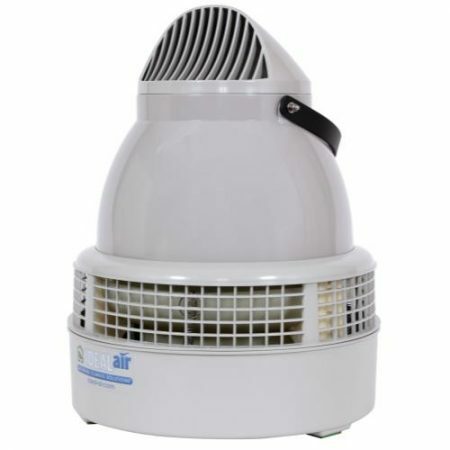 This excellent quality humidifier features a multi-directional fogging head. The coverage is from 160 to 320 sq ft, depending on humidification requirements and ceiling height. Maximum output is 75 pints per day. Commercial grade motor for years of use. Connects directly to your water supply with your own hookup (uses 1/4 in tubing). Operates at 62 dBA. Measures 12.2 in tall x 12.2 in in diameter. 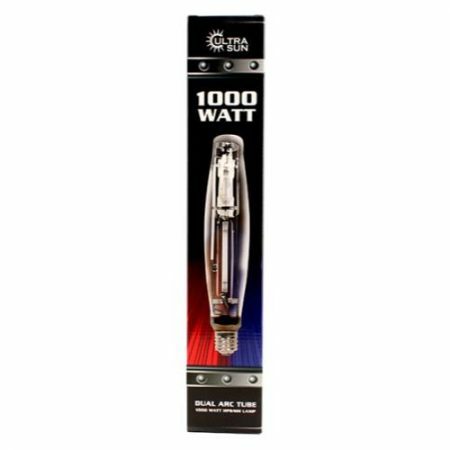 110 volts/60 Hz/0.9 amps. Consider using a Titan Controls Eos 1 with this product! 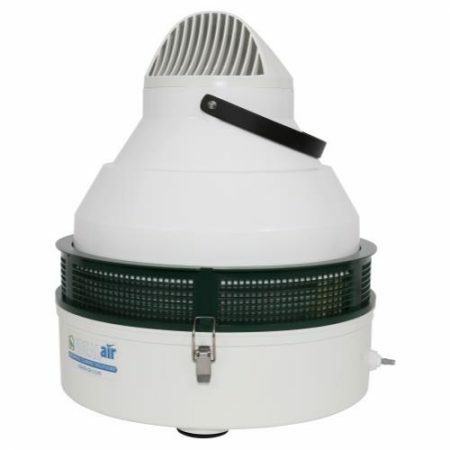 This industrial grade humidifier features a multi-directional fogging head. Coverage is from 1,176 to 1,614 sq ft, depending on humidification requirements and ceiling height. Maximum output is 200 pints per day. It has an industrial-grade motor for years of use. Connects directly to your water supply with your own hookup (uses 1/4 in tubing). Operates at 62 dBA. Measures 15 in tall x 15 in in diameter. 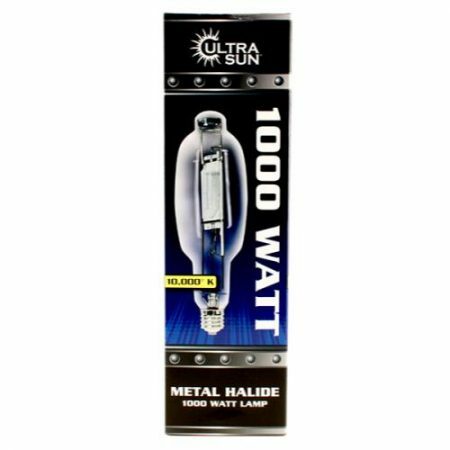 110 volts/60 Hz/0.9 amps. Consider using a humidity controller such as a Titan Controls Eos 1 with this product. Ideal-Air Ultra Sonic Humidifier is designed with ultra-sonic transducers to supply ultra-fine water particles. 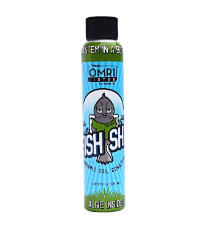 This is to help form a more balanced humidity field over your plant’s entire canopy. The Ideal-Air Ultra Sonic Humidifier plates are made from cold-rolled steel and a stainless steel box with a standard water inlet with overflow safety switch, reservoir drain outlet, sediment filter, LED display & humidity control (30% – 90%). 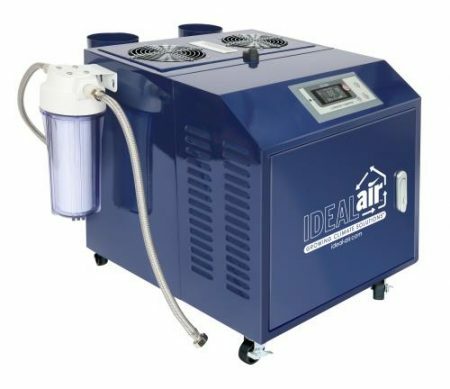 This unit is designed to produce up to 150 pints per day of ultra-fine mist. 115V, 60Hz & 2.6 amps. We recommend all Ultra Sonic Humidifiers be ducted, using 4 in PVC or 4 in DWV plastic pipe works best. Units should not be run without ducting or the top of the unit may be covered in water and shut off. Please don’t fill the unit through the discharge piping outlets. Doing this will overfill the tank and prevent the unit from creating humidity. The units should only be filled through the provided hose and float valve to ensure proper water level and correct operation. Ideal-Air Ultra Sonic Humidifier is designed with ultra-sonic transducers to supply ultra-fine water particles. This is to help form a more balanced humidity field over your plant’s entire canopy. The Ideal-Air Ultra Sonic Humidifier plates are made from cold-rolled steel and a stainless steel box with a standard water inlet with overflow safety switch, reservoir drain outlet, sediment filter, LED display & humidity control (30% – 90%). 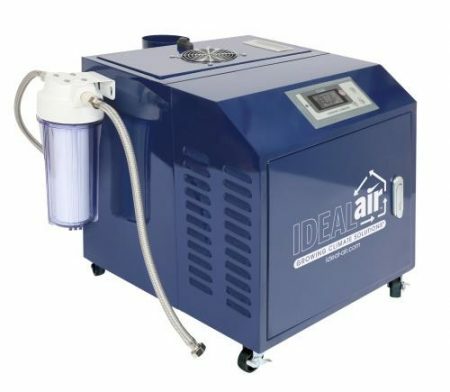 This unit is designed to produce up to 300 pints per day of ultra-fine mist. 115V, 60Hz & 5.2 amps. We recommend all Ultra Sonic Humidifiers be ducted, using 4 in PVC or 4 in DWV plastic pipe works best. Units should not be run without ducting or the top of the unit may be covered in water and shut off. Please don’t fill the unit through the discharge piping outlets. Doing this will overfill the tank and prevent the unit from creating humidity. The units should only be filled through the provided hose and float valve to ensure proper water level and correct operation. Ideal-Air Ultra Sonic Humidifier is designed with ultra-sonic transducers to supply ultra-fine water particles. This is to help form a more balanced humidity field over your plant’s entire canopy. The Ideal-Air Ultra Sonic Humidifier plates are made from cold-rolled steel and a stainless steel box with a standard water inlet with overflow safety switch, reservoir drain outlet, sediment filter, LED display & humidity control (30% – 90%). 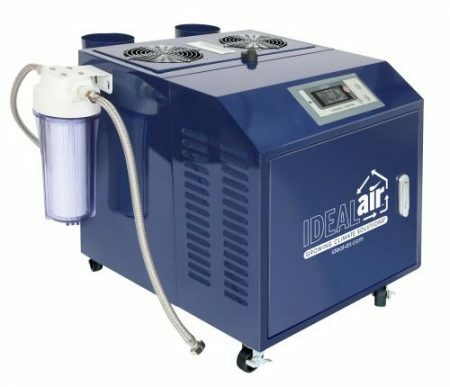 This unit is designed to produce up to 600 pints per day of ultra-fine mist. 115V, 60Hz & 5.2 amps. We recommend all Ultra Sonic Humidifiers be ducted, using 4 in PVC or 4 in DWV plastic pipe works best. Units should not be run without ducting or the top of the unit may be covered in water and shut off. Please don’t fill the unit through the discharge piping outlets. Doing this will overfill the tank and prevent the unit from creating humidity. The units should only be filled through the provided hose and float valve to ensure proper water level and correct operation.